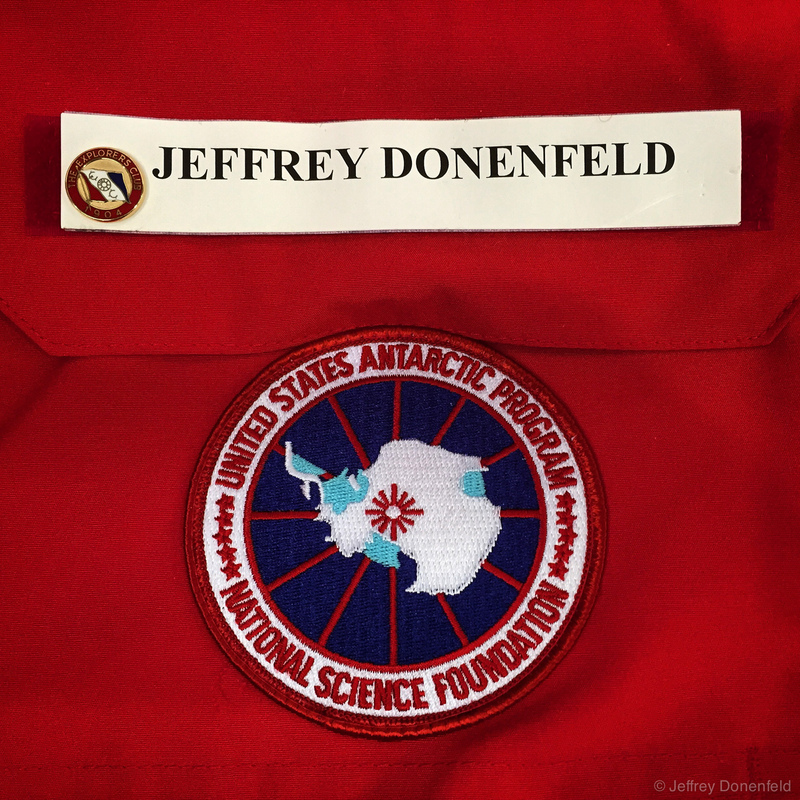 My name tag and program patch on my "Big Red" parka. Note I also added my Explorer's Club members pin. My name tag and program patch on my “Big Red” parka. Note I also added my Explorer’s Club members pin.